1. 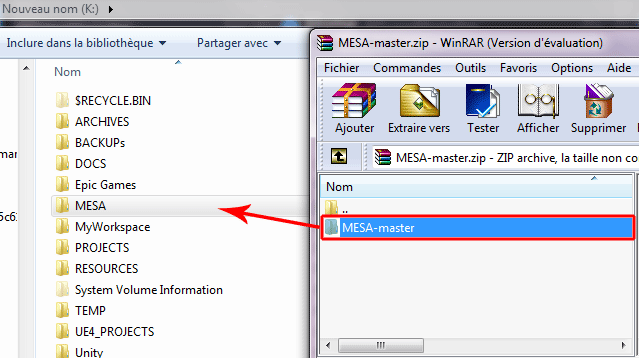 Download and extract MESA on the Hard Drive. Rename the directory from “MESA-Master” to “MESA”. 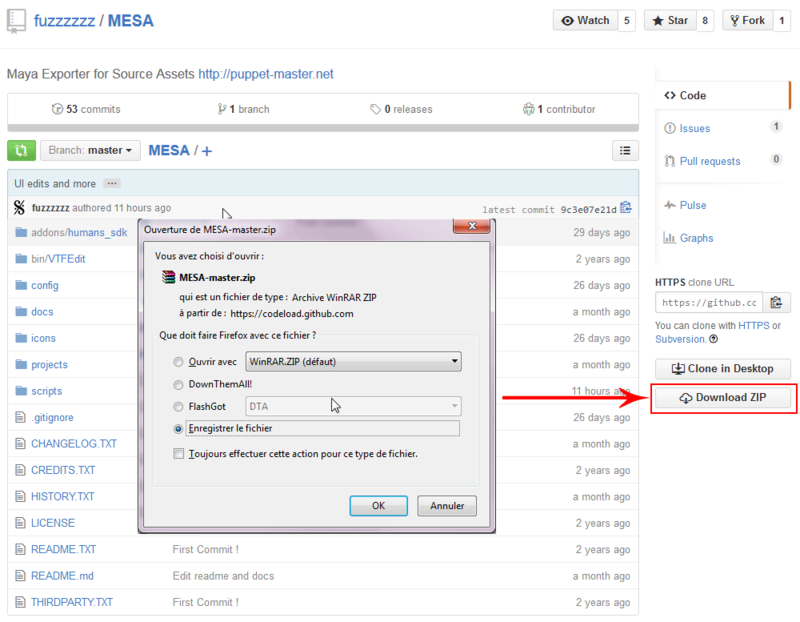 Go to “MESA/config” Directory, and right click on “Mesa_config.bat” file then Modify. MESADIR, MAYAVERSION, and STEAMDIR are the only three paths we must edit. In the case of your STEAM install directory, in localized on one drive, and the game you want to create some assets, is localized on a STEAM library drive. 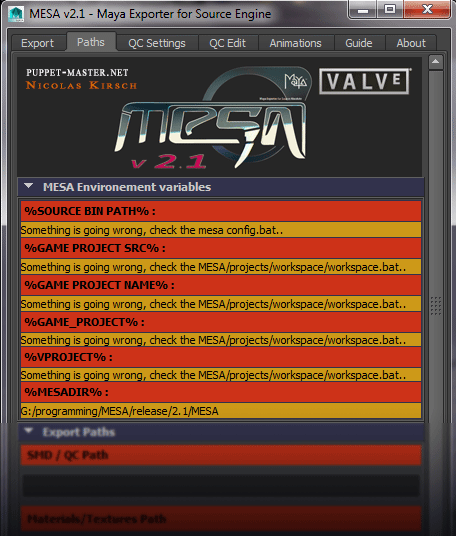 You must to edit the MESA_config.bat and set the path to the STEAM library, not the Steam install directory. Note : take care of the path you enter, don’t let a white space at the end of the paths. Now we have defined the path of the version of maya, we can run the batch to copy the shelf at the proper place. If the Script doesn’t copy the shelf, go to “MESA/scripts/maya/prefs/shelves/”and then can copy manually the shelf to “USER/documents/maya/VERSIONs/Prefs/shelves/”. accordingly to the version of maya you are using. At that moment of the installation, if you open Maya, the MESA’s shelf should appears with all the icons and the scripts should be sourced properly. But the “Paths Tab” on the MESA main panel, should reported you some missing and invalid settings. 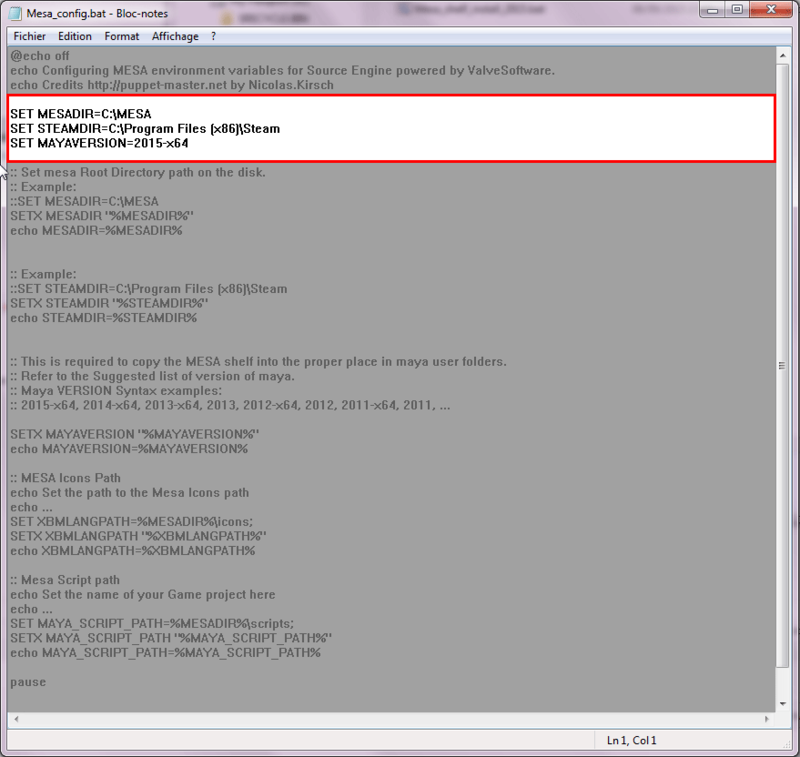 You must to quit Maya, and you must for setup the Project environment paths first. 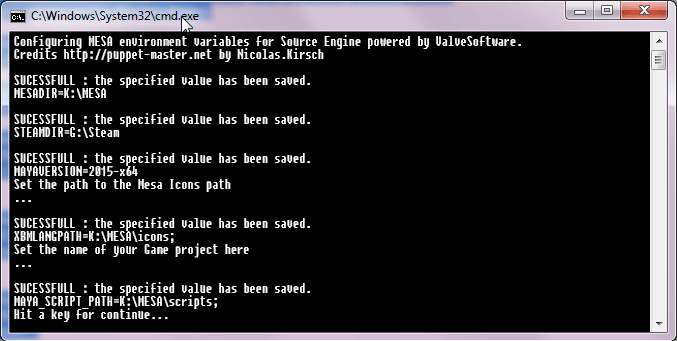 You cannot to export your scene to the source engine game of your choice at that moment of the installation. Follow the Project Setup Tutorial to complete the installation !